This week, Your News to Know rounds up the top news stories involving gold and the overall economy. Stories include: Predictions for gold prices in 2017, why gold has started a new bull market, and Commerzbank says gold is going back to $1,300. Haywood Cheung Tak-hay of the Chinese Gold and Silver Exchange Society is one of several Chinese traders currently making bets on gold in the short and mid term. Cheung, like his peers, fully acknowledges the global volatility that has bounced gold around between $1,100 and $1,377 so far this year. And with a Trump victory that surprised many in the mainstream, Cheung expects no shortage of volatility going into 2017, which he believes will bring gold to $1,500 an ounce. “The political uncertainties are likely to continue to haunt investment markets next year. There are presidential elections in France, Germany and the Netherlands. These will all introduce uncertainties in the market,” said Cheung. Jasper Lo Cho-yan, the chief executive of King International Financial Holdings, agrees, but with an important difference – he sees gold going up by as much as 50% over the next twelve months. “The price of gold will reach $1,800 per ounce, I believe, up about 50 per cent this year,” said Lo. The Chinese trader also believes the volatile eurozone will act as a major tailwind for gold in the coming months. “The Italian referendum, like the British referendum on Brexit, may lead to a change in the leadership of the Italian government and may bring more upheaval to an already uncertain euro zone. This could hurt the stock market and be a factor that would help the price of gold in the next few months,” added Lo. In his piece on Business Insider, Jesse Felder states that gold is an extremely prudent investment in spite of recent fluctuation. If anything, Felder believes recent events only helped solidify the case for owning gold while creating an opportunity to buy. Felder sees Donald Trump’s prospects of increasing deficits and inflation as a guarantee of the yellow metal’s performance going ahead – performance which, according to the analyst, marks the beginning of a bull market in the metal. And with rapidly shifting sentiment and increasingly bearish headlines, Felder sees a repeat of last year’s case of gold bottoming out. More importantly, Felder singles out the dollar’s deceptive strength and says the greenback is looking “ripe for a major reversal” in a similar scenario as when it peaked in 2002. But even with all the technicals in place, there’s another argument for owning gold that could top them all: as Michael Lewitt put it, gold is an “investment in monetary policy failure” or at least a hedge against it. To make his point further, Felder brings up a recent speech by William White which suggested that, no matter the details, betting on central bank failure and inefficiency is always a safe bet. 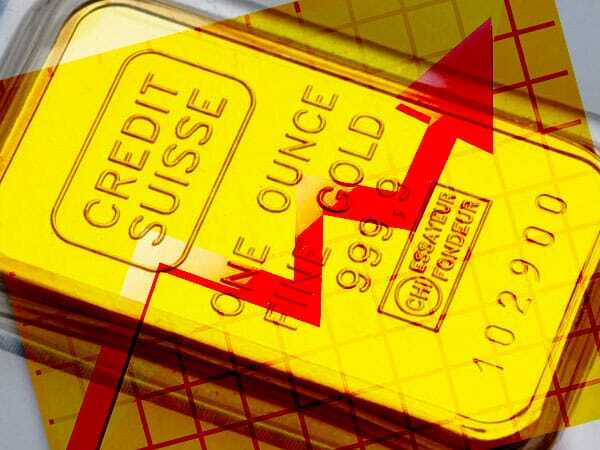 While most gold watchers saw the metal’s recent respite as momentary relief, analysts in one German-based bank noticed an upward trend which they expect to continue into the next year. The analysts outlined investment demand as the main culprit behind the recent price declines but were optimistic regarding a reversal, in particular from the Asian regions. “This year’s moderate demand for gold in Asia is likely to pick up thanks to low prices and an improved income situation among India’s rural population following a better monsoon season,” said the bank, calling the weak central bank purchases in recent months “probably temporary”. Commerzbank forecasts that gold will reach $1,300 an ounce by the end of 2017, with silver reaching $19 an ounce in that time frame. “Our currency and fixed-income strategists expect a further, albeit moderate, appreciation of the U.S. dollar in 2017 and a likewise moderate increase in bond yields. The headwind for gold from this side should therefore ease gradually,” said the analysts of the near future.